It is my pleasure to announce that Dr. Tom Schreiner will be our guest on Christ the Center this Friday starting around 2 pm eastern. You can listen in live and chat with us here. 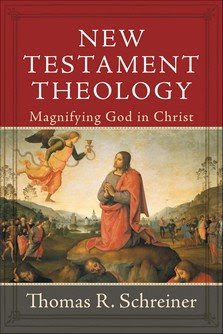 We will be discussing his outstanding book New Testament Theology: Magnifying God in Christ, particularly his chapter on the Kingdom of God. This should be a great show. If you have any questions for Dr. Schreiner you can email them to me or leave them in the comment section of this post.